Welcome to the website of the NHYFSC. The New Hampshire Youth Football & Spirit Conference provides over 4000 boys and girls the opportunity to participate in youth football and cheerleading. The purpose of this site is to provide parents, players / cheerleaders, and the general public with up to date conference news, information, schedules, game results, directions and much much more. Check back often for the latest information. To insure proper information is exchanged during any communication, the NHYFSC requires inquiries are identified by name and association affiliation. Welcome to the 2019 Season!!!! AYC has partnered with Youth Cheer and Dance Alliance (YCADA) for the 2019 season. YCADA has created this web page to help you find everything you need from YCADA. Please here often for updates on rules, scoring, FAQs, etc. Most items will be updated and available by May 1st when the Y101AYC course launches. Stay tuned! NHYFSC would like to welcome Nicole Quinn as our 2019 Conference Cheer Coordinator. Nicole brings many years of experience as a coach, cheer coordinator and VP of cheer with the Salem Rams. Nicole joined the NHYFSC conference board in 2018 as a director/mentor to our member associations. Nicole is looking forward to bringing new ideas and opportunities to our cheer programs and athletes. We are also happy to announce that Tammy Gagne will continue with the NHYFSC Conference Board as a director/mentor. We want to acknowledge and thank Tammy for all she brought to our cheer program as cheer coordinator. Tammy always worked with the attitude to make the best possible environment for the children. We have been very fortunate to have had her as our cheer coordinator and continue to be with her as a board member. The commissioner, Bob Schiavoni has also appointed Stephanie Karg a NHYFSC Director/Mentor for the2019 season. Stephanie has been with the Hudson Litchfield Bears and has also been head coach of the NHYFSC Division 14 Elite Red Head Coach for the past 2 years bringing home 2 national championship titles. We will be seeking confirmation on her appointment from the association members at the January meeting. The conference consists of 27 association’s state wide. To learn more about our members or becoming involved with football and cheer visit our Members page. Football and cheer levels that provide interaction with appropriate age levels. 8 game football season with opportunities for region and national advancement. Academic Achievement awards that has provided over $150,000 in scholarships since its inception in 2005. Cheer competition that provides opportunities for region and national advancement. 3 Fun cheer competitions coordinated by member associations. The NHYFSC Board of Directors is proud to of all the teams that advanced to American Youth Football & Cheer National Championships. Check out the pictures we have posted on the picture page. Great job to all the teams that participated.We are so proud of you. What a great New England Regional's weekend for New Hampshire! Here are our 2018 New Hampshire AYC New England Region Cheerleading Champions!! What an amazing amount of talent we have in New Hampshire. Best of luck to all the teams that will be continuing on to Nationals. On Saturday, Nov 3, 2018 the New Hampshire Youth Football & Spirit Conference hosted its State Championship Football games. The NHYFSC congratulate all the teams for all they have accomplished this season. 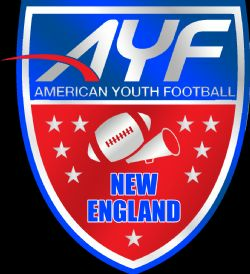 The championship teams will advance to the AYF New England Region Semi-Final round at Municipal Stadium in Waterbury, CT on Sunday, November 11th. Game order will 10U, 11U, 12U, 14U starting at 10am vs Connecticut Youth Football Champions. The American Youth Football Region Finals will be played on Sunday, November 18th in Nashua, NH. 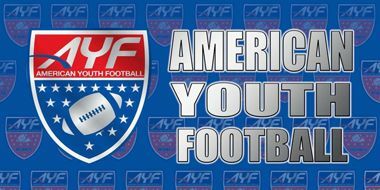 Winning teams will advance to the AYF National Championships in Kissimmee, Florida the week of December 1st. On Sunday, October 28th, the NHYFSC held the 2018 State Cheerleading Competition. Tammy Gagne, Cheer Coordinator of the NHYFSC is pleased to announce the conference Cheerleading Competition results. The NHYFSC CONGRATULATE all the cheer squads for a wonderful performance. The cheer squads did a fantastic job!! Click here to download a list of the 2018 State Cheerleading Champions. The finalist will move on to compete in the AYC New England Region Championships on November 17, 2018 at the SNHU Arena in Manchester, NH. The New England Region Competition will include squads from Massachusetts, Connecticut, Rhode Island, and New Hampshire. Squads placing at Regions for their division are eligible to compete at the American Youth Cheer National Competition in Florida in December. We would like to congratulate all the Tiny Mite teams that participated today. These young athletes showed everyone they are the next generation of cheerleaders. A Special Shout Out to the Bedford Bulldogs and Manchester South Sabres Adaptive Cheer teams! Once again bringing the house to their feet and tears to our eyes with an exceptional routine. A fantastic group of athletes proved that nothing can hold you back once you set your mind to it. Good Luck to all our advancing cheerleading squads. The NHYFSC advises all associations and parents to take heat and humidity matters into consideration before and at all practices. Associations should be advising all participants on the importance of hydrating before practices and to insure participants are bringing ample amounts of water to practice. Dehydration and heat exhaustion can cause serious medical issues or death. Proper planning will minimize discomfort and avoid serious medical issues. Download the Heat Exhaustion form Signs, Symptoms and Preventive Tips. The NHYFSC advises all associations of potential medical hazards from mosquitoes. All parents should take responsibility to avoid mosquitoes by using mosquitoes repellant on their child prior to practice beginning. Click here for EEE Fact Sheet put out by the City of Manchester. Each season we receive questions from the coaches specific to football rules. 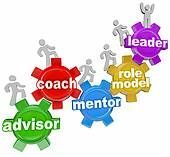 We have added a new section in the Hey Coach page for all coaches to see. we labeled it Football FAQ's in hopes that it helps the coach find some information they need. Feel free to contact if you have any other areas you would like to see. To get to the Football FAQ section click on the Hey Coach link in the left column and scroll the page. In 2016, the Board of County Commissioners of Osceola County approved funding to complete the renovation of Austin Tindall Sports Complex. After eleven months of design, the facility held their ceremonial ground breaking on November 16, 2017. Austin Tindall Sports Complex is expected to be completed by July 2018 now that constructions is in full swing. Above is the concept of what the new facility will look like once it is completed with details of the expansion listed below. Feel free to check back frequently for updated photos of the renovation. Five (5) new fields built with Bermuda Tif 419 grass. All fields will have LED lights. A concession and restroom building on the east side. A stadium with a seating capacity of 1,500 that can grow to 3,000 when portable bleachers are added. An LED multi-use scoreboard at the stadium. Facility road will now encompass the fields. Additional parking located on the south end of the complex. Ice plant for event purposes. Two (2) marque signs along Boggy Creek Road. Increased power hookups on the west side. Kissimmee, Fla. (March 20, 2018) – The Kissimmee Sports Commission and American Youth Football, Inc. have signed a five-year partnership agreement for the annual American Youth Football & Cheer Championships to continue being hosted in Osceola County through 2022. This event generates nearly $8 million in direct economic impact annually and brings 19,500 overnight visitors to the area each year. American Youth Football, Inc. is an independent non-profit corporation that provides support services, grants, giving back programs, and tournament opportunities to over 25,000 youth football and cheer teams from all 50 states and internationally. The American Youth Football & Cheer National Championships has been hosted in Kissimmee since 2007. The AYF cheerleading championships will continue to be hosted at Osceola Heritage Park, while the football championships will remain at the Austin Tindall Sports Complex, an outdoor sporting venue currently undergoing $10.7 million in renovations and expansion. This massive improvement project, funded by Osceola County, will benefit the American Youth Football Championships as the event and the AYF corporation continue to grow. These facility accommodations, as well the overnight accommodations available in the destination played a substantial role in securing the extended partnership agreement. The NHYFSC is pleased to announce the Winnacunnet Little Warriors Cheer have the conference. At the March association meeting representatives from the Winnacunnet Little Warrior Cheer, appeared before the membership seeking acceptance into the NHYFSC Conference as a member in the 2018 season. They were enthusiastically and unanimously voted in the conference as our 27th member association. Let’s all welcome Winnacunnet Little Warrior Cheer to a fantastic 2018 season!! The Kissimmee Sports Commission and American Youth Football, Inc. have signed a five-year partnership agreement for the annual American Youth Football & Cheer Championships to continue being hosted in Osceola County through 2022. This event generates nearly $8 million in direct economic impact annually and brings 19,500 overnight visitors to the area each year. 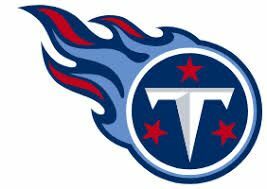 The NHYFSC is pleased to announce that the Seacoast Titans Football & Cheer have rejoined the conference. At the February association meeting representatives from the Seacoast Titans Football & Cheer, formerly affiliated with pop warner, appeared before the membership seeking acceptance into the NHYFSC Conference as a member in the 2018 season. They were enthusiastically approved to rejoin the conference as our 26th member association. The Seacoast Titans will have teams for both cheer and football. Let’s all welcome the Seacoast Titans Football & Cheer to a fantastic 2018 season. The NHYFSC takes Concussions very seriously. Through constant training for our administrators and coaches we feel this will help individuals identify the signs of a concussion. What is a Concussion? A concussion is a type of traumatic brain injury. Concussions are caused by a bump or blow to the head. Even a “ding,” “getting your bell rung,” or what seems to be a mild bump or blow to the head can be serious. You can’t see a concussion. Signs and symptoms of concussion can show up right after the injury or may not appear or be noticed until days or weeks after the injury. If your child reports any symptoms of concussion, or if you notice the symptoms yourself, seek medical attention right away. Please click here to download a copy of the CDC Head's Up Concussion Fact Sheet for Parents. The more administrators, coaches, parents and athletes know about a concussion the better we will be able to keep our children safe. Let's have a safe and exciting 2017 season. Hey Coaches, we have built a page specifically for you. There are many documents and forms in the Hey Coach tab on the left. Please check this section often for updates. Thank you for your dedication to the children. 2014 AYF awards Rick Pelletier the Lifetime Achievement Award. 2013 Andy Vanti, Pelham Razorbacks President inducted into the AYF Hall of Fame. 2012 Deb Smith, NHYFSC Secretary inducted into the AYF Hall of Fame. 2010 Robert Schiavoni, NHYFSC Vice-Commissioner inducted into the AYF Hall of Fame.